Say Yes to the dress font here refers to the font used in the title of Say Yes to the Dress, which is an American reality television series aired on TLC. The font used for the title (excluding the cursive “yes”) is probably Theorem by Alejandro Paul. Theorem is an art deco typeface with a 1990 twist in its capitals and its lowercase characters were designed to automatically achieve the best optical spacing in typesetting. You can view more details about this font here. The Theorem font identified above is not available for free, please follow the link above and purchase the font. Meanwhile, you can take a look at our collection of fonts for cars, pop music and apparel as well as round-ups of new & fresh fonts around the web. 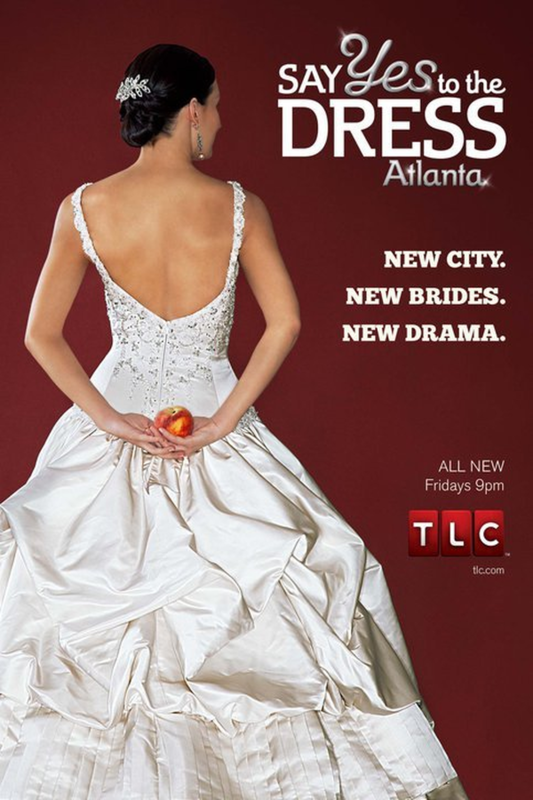 In addition to Say Yes to the Dress, It seems we can’t find other examples (logos, movie posters, album covers etc.) of Theorem typeface in use.